 Please make sure that a light film of water is always visible on the surface of the stone during grinding. By doing this you ensure the knife edge is sufficiently cooled. b. Start at the blade tip. Pull the knife at an angle of about 15 ° over the whetstone, whilst moving the blade with light pressure toward and away from your body. Repeat this process until you feel a fine burr. c. Turn the knife over and continue with sharpening the other side of the blade, as described above. Make sure that you use the same number of strokes on both sides. It is also important that the angle is always kept the same so that you end up with a symmetrically sharpened blade. d. Rinse knife and whetstone carefully in hot water. a. First, lay the partially whetted side of the blade onto the grindstone. b. Start at the blade tip. 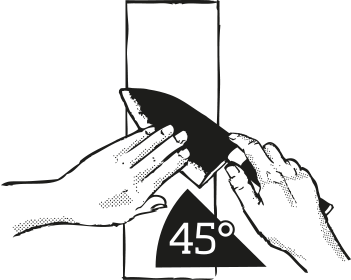 Pull the knife at an angle of 45 °over the whetstone, whilst moving the blade with light pressure toward and away from your body. Repeat this process until you feel a fine burr. c. Turn the knife over. Now lay the hollow-ground side of the blade flat on the grindstone and continue with sharpening - but only about 1/10 as much as when sharpening the knife's other side. d. Rinse both the knife and whetstone carefully in hot water.